Today’s world is fully buyer-empowered and customers have become well aware of all major parameters that need to be considered before making any purchase decisions. Even before spelling the company’s full name, people plunge into searching the whereabouts of the company over the internet. In such a scenario, it is inevitable to maintain a full-fledged website that communicates effectively with customers. 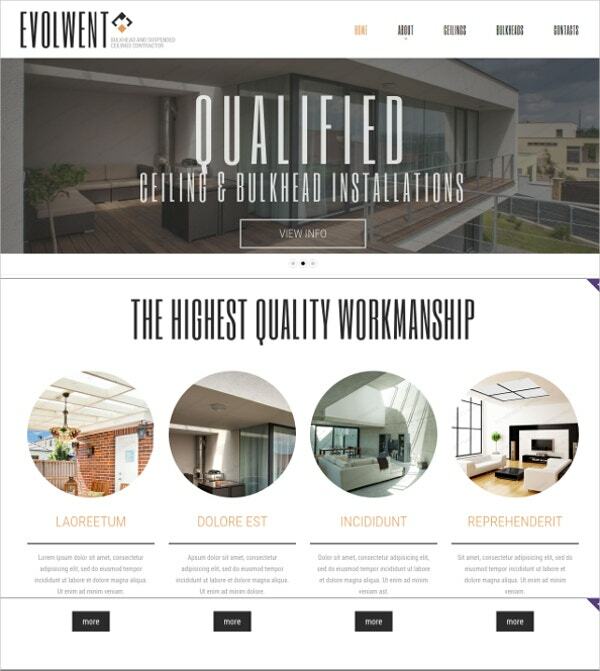 To mend the needs for an attractive website for your real estate or contractor business, we have handpicked some best website templates that may interest you. 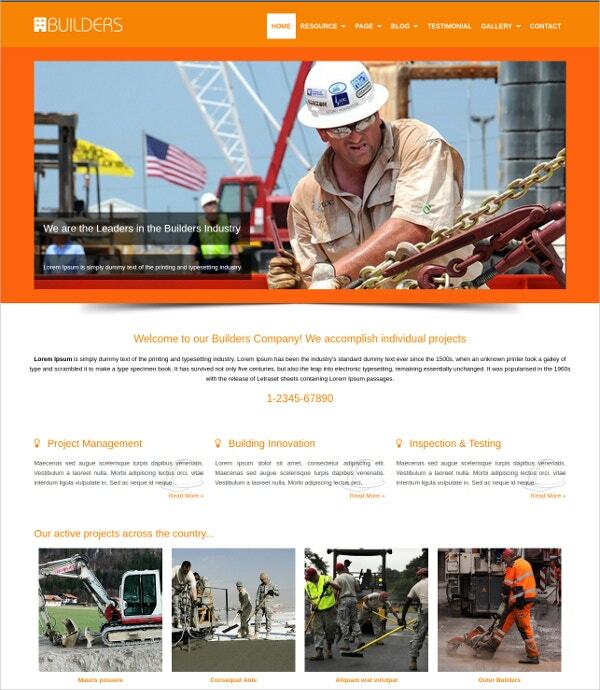 You can also see Construction Company Website Themes. 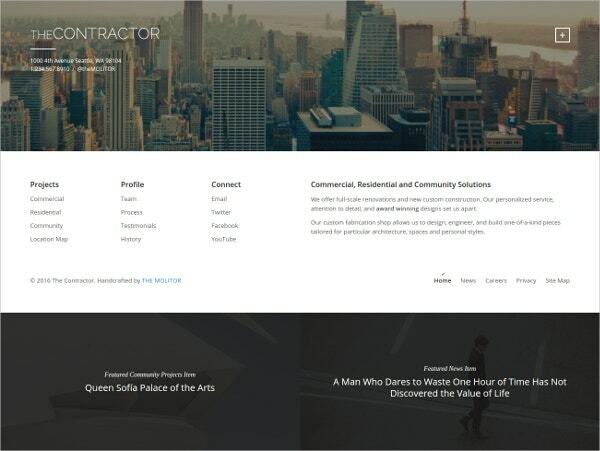 This is quite a simple and powerful theme designed specially to fit the requirements of a website for Builders, contractors and Real estate agencies. It enables you to develop unique layouts by choosing from a wide range of customizable page blocks. It also comes with some cool modern animations and Video modals. You may also see Real Estate Website Templates. Being designed with bootstrap framework, this template is highly responsive and is compatible across all screen aspect ratios. With limited knowledge of programming, you can further customize the template. This theme contains an inbuilt masonry gallery and integrates 60+ Google fonts. It adds to the charm of page development with custom color palette and 22 module positions. You may also see Interior Design Website Themes. 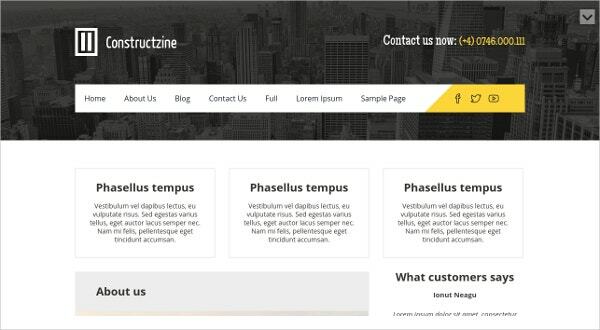 This is an innovative premium theme which is ideal for developing construction company websites. The theme is powered with default galleries, pre-built contact form, Header/Footer widgets and full documentation for better development of your web page. The theme comes with a blog layout and can be customized to a great extent. This is a simple yet excellent theme for architecture firms and construction businesses. It uses in built WordPress feature that makes the template very easy to use and customize. It has been approved by Google developers to be mobile compatible. It has a responsive outlet and lets you choose from unlimited widgets that it comes with. 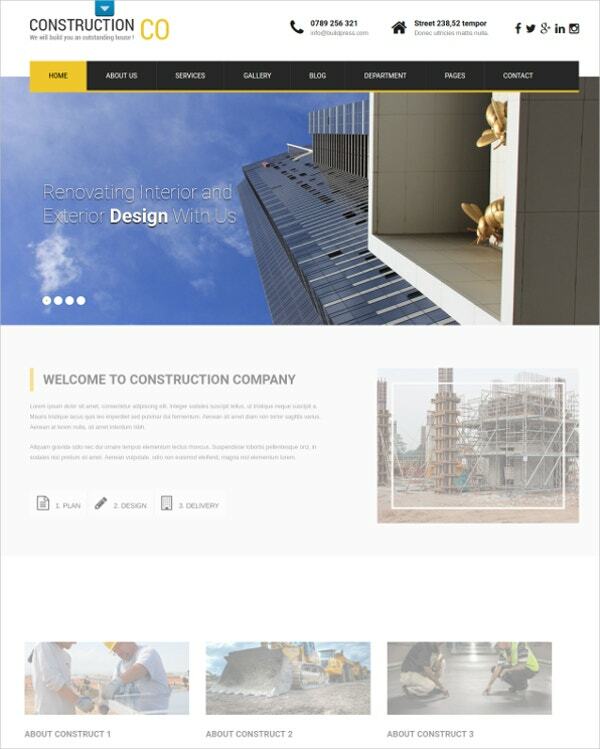 This template makes an excellent choice for construction firms for its simplistic design and elegant look. It contains a visual front-end editor that anyone with minimal scripting knowledge can use to customize the theme further. The smart sidebar, full screen blogs and integrated Google map ensure an impressive online portfolio for your company. Designed with HTML and PHP, the theme is designed with an aim to provide the developer with the ease of coding and customization. The theme’s options panel lets you configure settings for logo, social links and color schemes. Its responsive layout is compatible with all major browsers like Chrome, Firefox etc. This theme rocks with advanced animations and effects designed with jQuery. The widget panel is capable of displaying unlimited widgets. This also contains some unique features like a sticky post in the footer section and Google map integration. 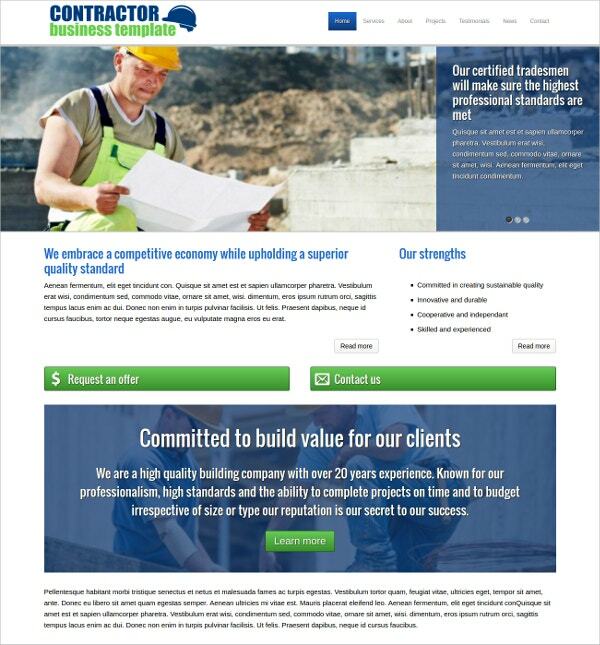 This is ideal for building construction company websites. 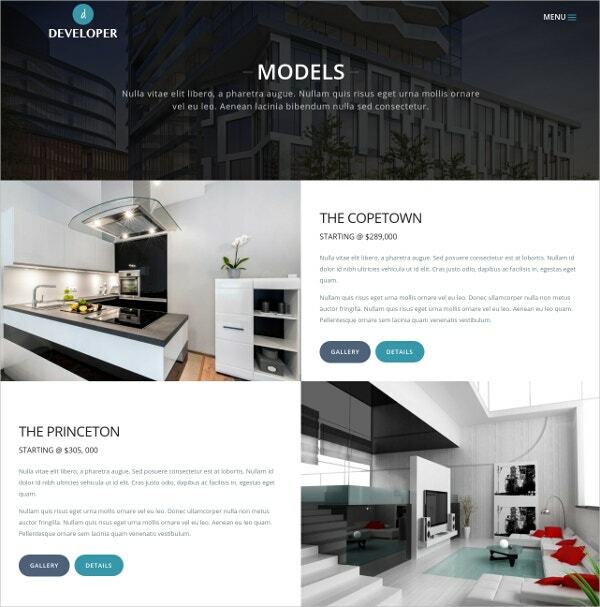 This is an HTML powered template that can be used for creating websites for real estate companies, architecture firms and Building contractor agencies. It comes with an impressive layout that nicely represents the website contents. You get some amazing good quality stock images that you can use for your own web page. 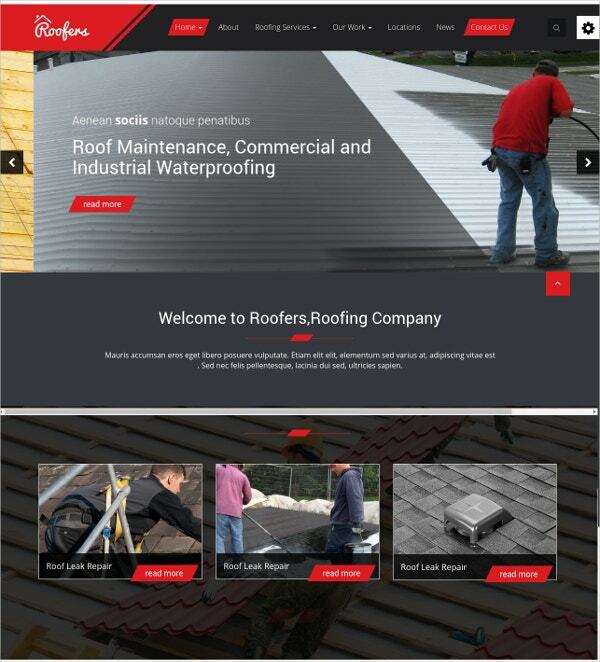 If you are looking for a perfect website theme for your Real estate contractor business, we must say this is perfect in all aspects. It is designed with Vertex framework to ensure better responsiveness. Flex menu system is a quite unique and cool feature that comes with it. Font Resizer and Parallax background features make it even more alluring and powerful. 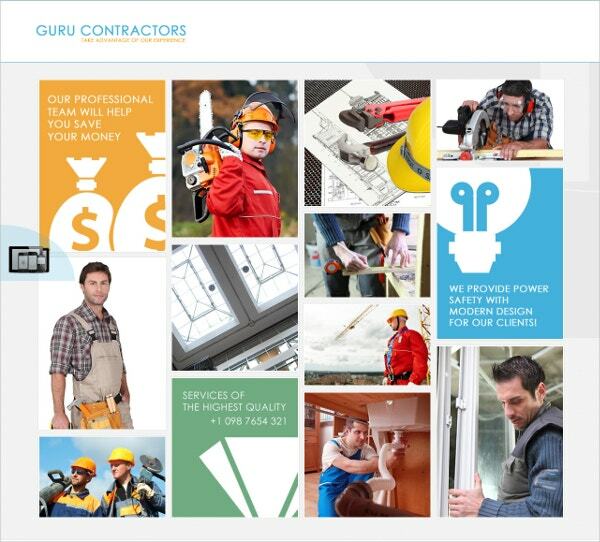 This website theme is great for construction companies and online contractor portfolios. The main reasons to buy this template are the high degree of customizability it offers and its outstanding design quality. This theme comes with a responsive layout and the dedicated support team helps you at every stage of website development with their template. 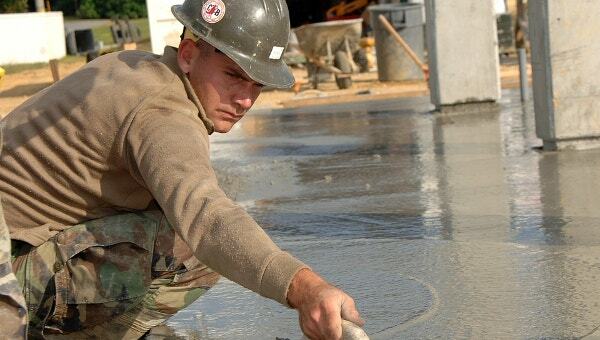 This is typically designed for contractors and construction builders with an impressive design. This provides multilingual support and can integrate custom CSS files easily. The built-in portfolio and gallery, customized widgets make it a wise choice. The design is fully SEO optimized and ready to be deployed across various platforms. The magnificent boxed layout does the magic for this theme. 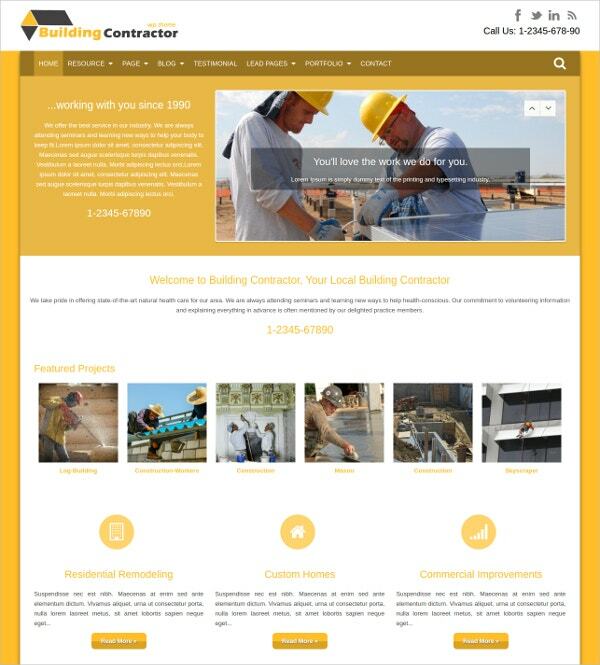 Suitable for different contractor services and builder agencies, this theme is designed to be loaded at lightning fast speed. The latest news section features the important information and the parallax background gives it a sober look. It has an excellent in-built slider and a contact form. 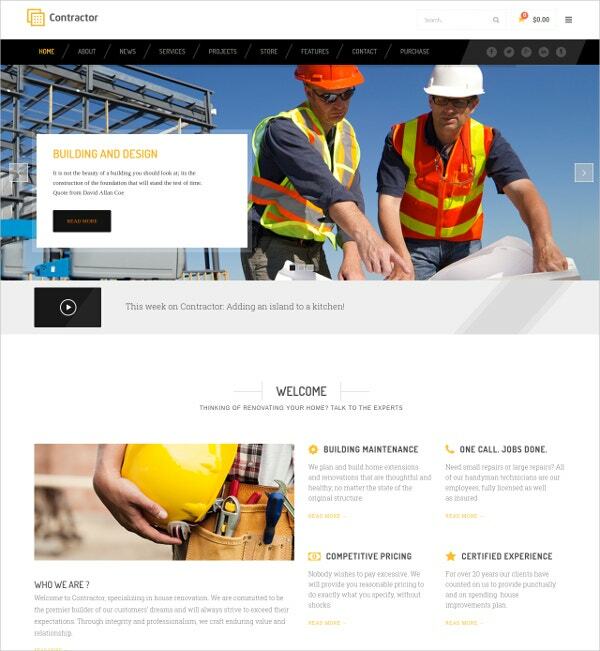 This cross-browser compatible template is ideal for various contractor businesses. Some of the key features of this theme are built-in image gallery, custom page templates, advanced theme options, Facebook ready design, etc. The icon section, widgets, and style list make it easier for you to develop excellent web pages. No matter how good services you have to offer your customers, it is of no use if people are not informed about it. You have to advertise yourself and grab some attention for your business. A glossy and informative website is equally important as the quality of services you offer. 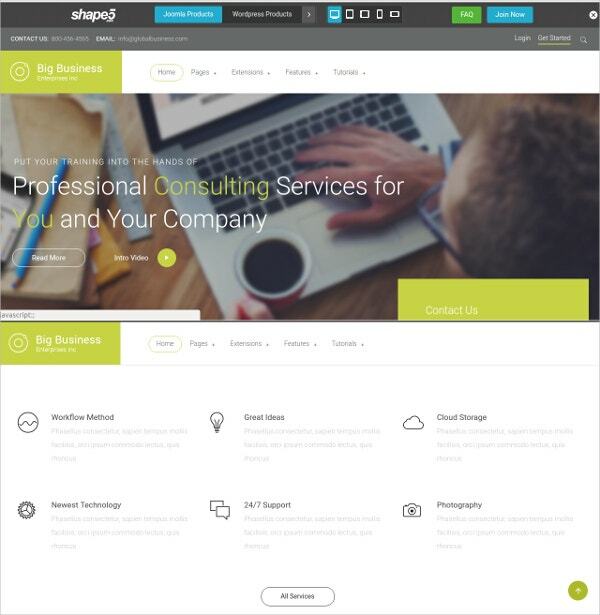 So choose from the above wide range of templates and build your presence online like a pro.